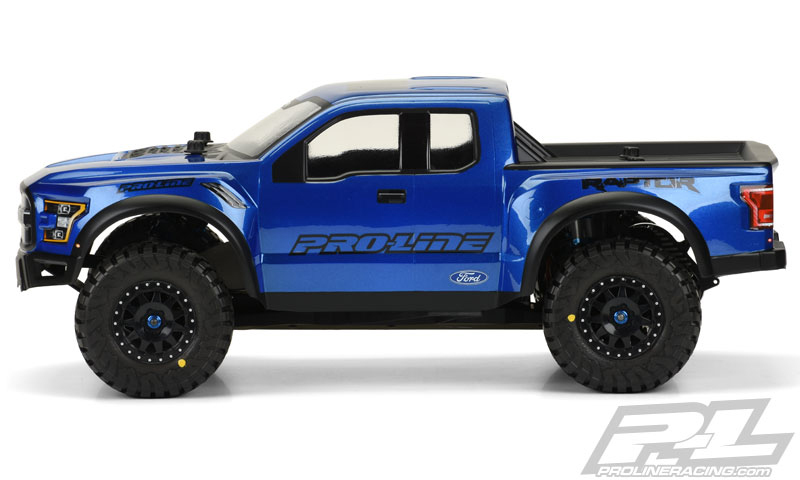 This is a Pre-Painted/Pre-Cut 2017 Ford® F-150 Raptor True Scale Body for Short Course Trucks. 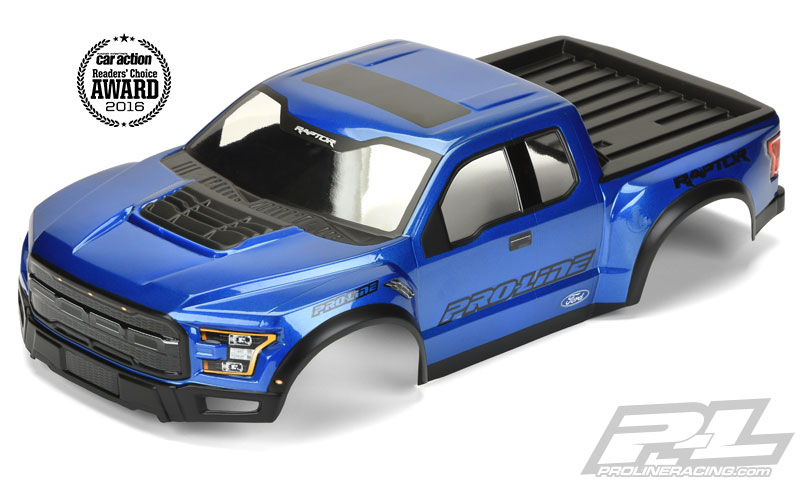 Introducing one of the most anticipated Truck bodies of all time: the new 2017 Ford® F-150 Raptor True Scale truck body for Short Course! 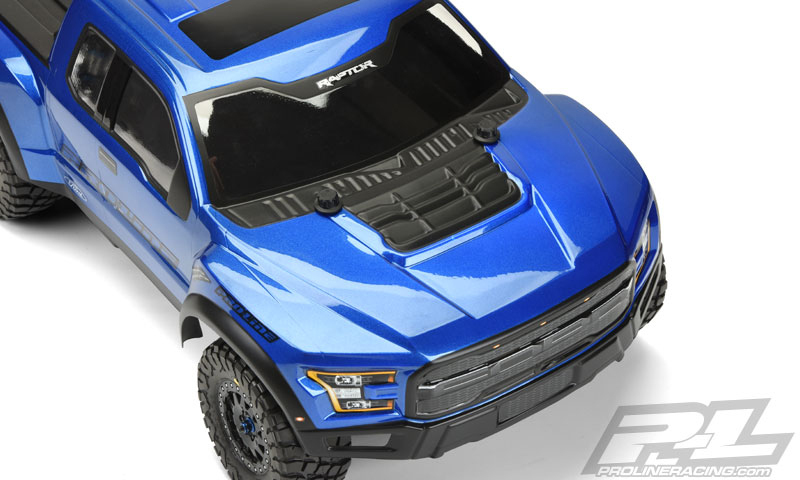 Pro-Line has included all the scale detail you could imagine into this Pre-Painted, Pre-Cut and Pre-Stickered body for a highly detailed yet functional replica of the 2017 Raptor. Even the color that has been pre-painted was painstakingly matched to the real full scale counterpart! 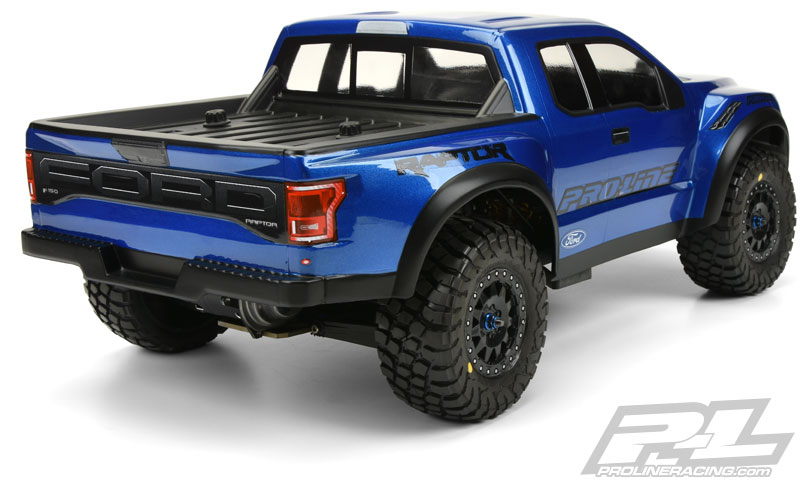 The 2017 Raptor has a bold, tough and cutting edge body style and will completely transform your PRO-2, Slash®, Slash® 4x4 and SC10 Short Course Truck into a True Scale Lifted Truck. If you are a Raptor fan, then this is the body for you! Be the envy of your friends. 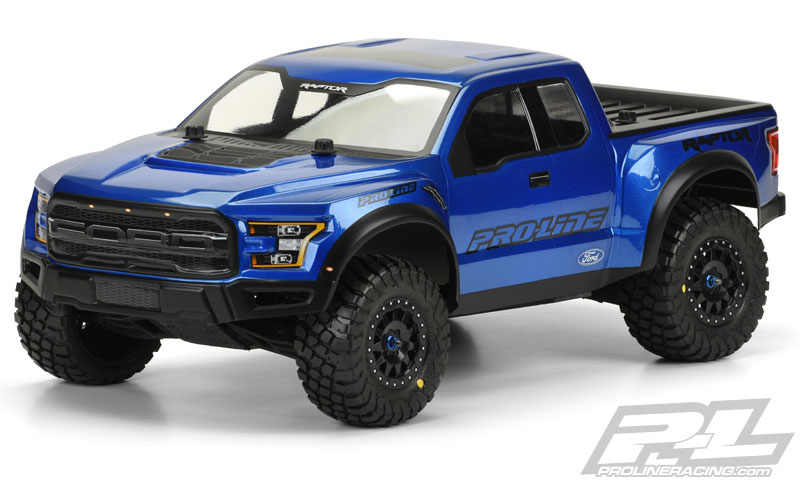 Get your Pre-Painted/Pre-Cut Pro-Line 2017 Ford® F-150 Raptor True Scale body today!